To quote Woody Allen’s character in the classic Annie Hall: “Adult education is a wonderful thing” and with today’s easy access to such a large depository of information, such as the Internet, education is becoming more and more accessible. It has been scientifically proven that if one continues to learn throughout life, then one’s brain will deteriorate at a slower pace than if one stopped learning new things. These time we are fortunate enough to live in – where information travels from one corner to another in a matter of milliseconds – are wonderful times. Taking advantage of this only seems natural, doesn’t it? Sure, you can open Wikipedia at any time and it will provide you with enough information to set things straight on a subject matter, but what if you want to go further? What if you want to learn about, let’s say, the European colonial period in depth? Then good old Wiki won’t help you too much there. You would need a teacher, a college professor who is specialized in the matter, who will guide you and teach you. Whether you want to take online courses as a way of preparing for college exams, or a way of keeping boredom at bay – they are an excellent tool for teenagers and adults alike. Even teachers can improve their skills with some education websites designed especially for them. There are plenty of free online college courses ready to open their virtual doors to you, all you have to do is pick something you’re passionate about and start discovering. We’ve got a top ten of best online courses where anyone in the world can attend. Go on, read the list and don’t be afraid to learn new things every day! MIT World is a source of ideas on the web. They basically publish key presentations by MIT faculty and guest speakers. The videos and podcasts are free and are some of the best online courses out there – science, technology and other related fields are there for you to discover in your own time, at your own pace. It’s a place where you can listen to new ideas and concepts and internalize them, with ease. 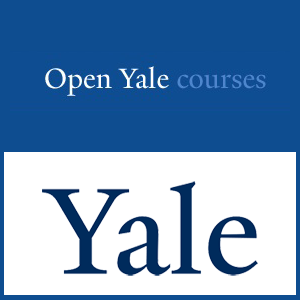 Free and open access to a large selection of introductory courses taught by the best teachers Yale has to offer. Sounds too good to be true, doesn’t it? Well, it’s not! All lectures that are available on Youtube were recorded in a Yale College classroom and registration is not required; you don’t need course credits or any degree to sign up. If you can’t go to Yale, why not have a taste of what good higher education is like? 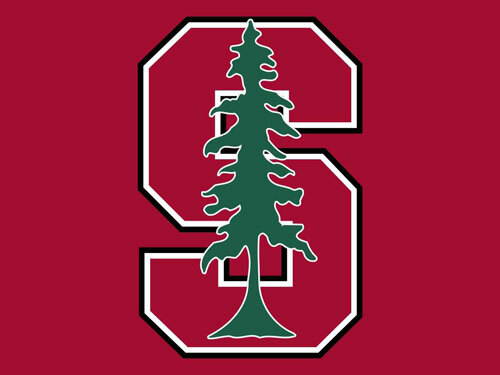 Stanford’s iTunes website offers some of the best free online college courses on the Internet. It’s Stanford after all! Choose from a plethora of categories, including art and architecture, engineering, language, history, communications and media, business, mathematics, science, society, teaching and learning, literature, health. Medicine, religion and spirituality. 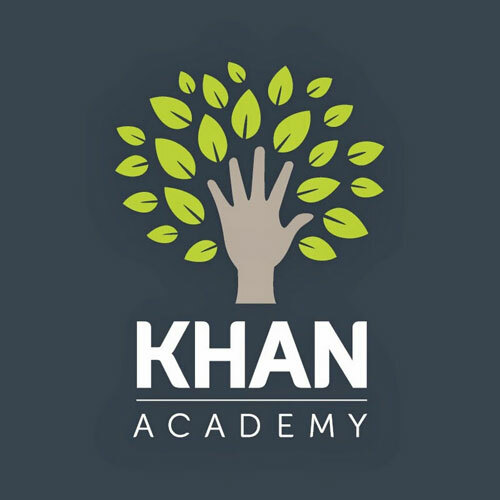 Khan Academy is a non-profit organization whose goal is to “change education for the better by providing a free world-class education for anyone anywhere”. To be honest, the world needs more of these organizations; they offer free materials and resources, such as their extensive library of content to anyone with access to the web. What distinguishes Khan from other online course program is that you get your stats immediately. You get to keep track of everything you learn, in real time. You can find some of the best online courses on MIT’s OpenCourseWare. One of the most popular courses is the Introduction to Sustainable Energy, which, in my opinion is a subject that needs as much research as possible. Making this course free and accessible to anyone is brilliant because you never know makes the breakthrough the planet needs in the field of energy. So many young inventors could attend this class and come up with a solution that is going to save our planet! MOOC List is a directory of Massive Open Online Courses (MOOCs) from different suppliers. Basically, if you want to take an online course and you don’t know where to begin, then click the link above and get started. They have a simple and clean website that makes it easy to find what you’re looking for and over 50 open online courses providers, some included on our list. 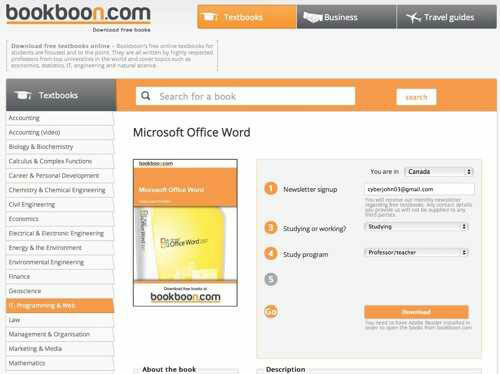 Free online college courses will need books and bookboon.com is the best place for free online books. The company was established in 1988 in Denmark and its focus has always been on publishing education related books for students, but in 2005 it made a giant leap and became the first book publishing company with a focus on free electronic books. Now it has over 1,000 e-books in seven languages, to be downloaded directly from the website. ALISON offers over 500 free courses from the field of business, finance, digital and IT and soft skills. They are focusing on skills, a thing that not many organizations do, that is why ALISON can be really good for people who don’t just want to learn about new things, but want to learn new skills that will help them apply themselves better at their jobs and in their life. 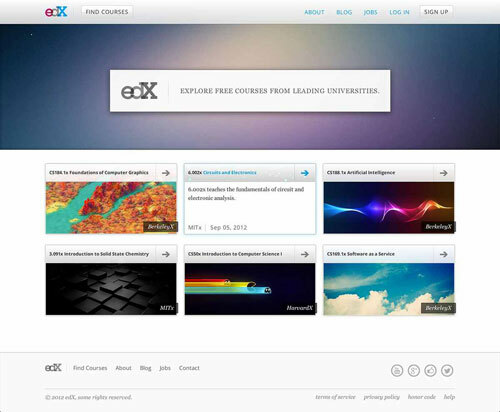 Edx is a non-profit organization created by the biggest names in education today: Harvard and MIT. It offers some of the best online courses and interactive online classes in subjects including science, business, social sciences, artificial intelligence, history, law and public health. The great thing about EdX is that anyone can take the courses at their own pace, wherever they want. They can strive to earn a Certificate of Achievement or simply audit a course; bonus feature: the virtual classroom is open non-stop! Coursera is a company that associates with the best universities and organizations in the world to offer free online college courses to anyone who is interested. They have this to say about their philosophy: “We envision a future where everyone has access to a world-class education that has so far been available to a select few. We aim to empower people with education that will improve their lives, the lives of their families, and the communities they live in.” That is indeed something we should all work together to make happen. Have you tried any free online college courses? What are you interested in? Do MIT online courses sound appealing? What are your thoughts on adult education? Share your thoughts in the comment section below! Remember, never stop learning!